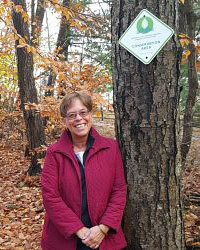 Pamela Brown, a resident of the Birchrunville section of West Vincent, is one of the Landscapes3 Steering Committee members. Brown is the conservation director of French & Pickering Creeks Conservation Trust, and her service area includes 11 municipalities in the French and Pickering Creeks Watersheds. Brown’s area of expertise and interest as a member of the steering committee is land protection and how it relates to the health and well-being of the community, including groundwater protection, outdoor recreation, and economic benefits. “I have used the previous Landscapes plans as guidance documents for years and am honored to be part of the team working on Landscapes3,” said Brown. For more information about Brown, click here.